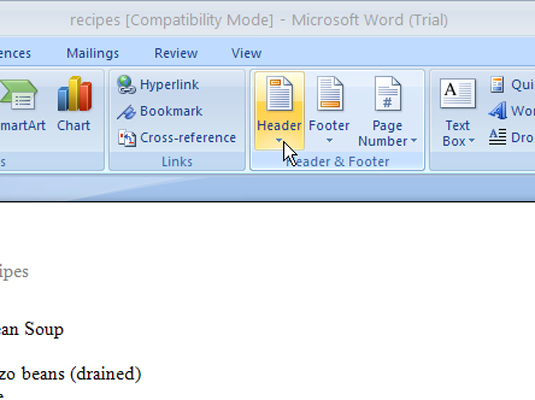 In a Word 2007 document, you can remove a header or a footer. To remove a header, choose Header→Remove Header. To remove a footer, choose Footer→Remove Footer. 1Go to the page where the header exists. 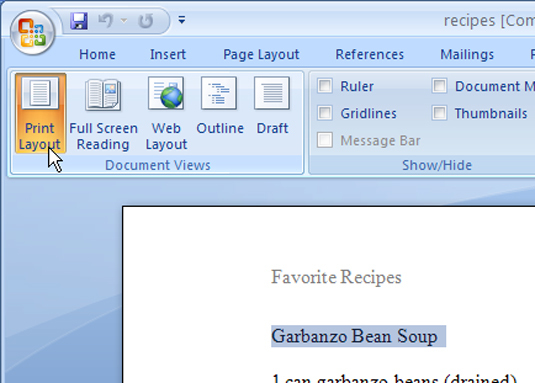 Use Print Layout view (found on the View tab in the Document Views group) for this step so that you can see the ghostly image of the header (or footer). 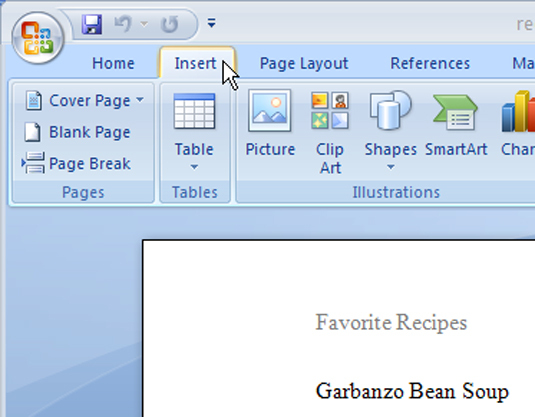 2Click the Insert tab on the Word 2007 Ribbon. 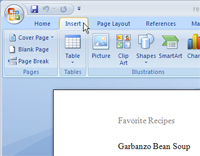 The Insert tab in the second tab from the left, located between the Home and Page Layout tabs. 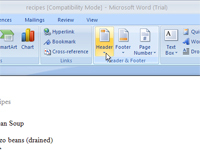 3From the Header & Footer group choose Header→Remove Header (or Footer→Remove Footer). The header (or footer) is gone. This trick removes only the header (or footer) for the current section. To remove headers (or footers) in other sections, repeat these steps.